If I were to write about all the problems I’ve encountered these last few weeks with Verizon, I’d have a short story. But, this is not a venting blog! This is an educational blog. At least I hope someone learns something from my blogs. Today’s lesson: The important of communication! Some of you reading this might be thinking, no kidding! However, there is a lack of knowledge somewhere. Case in point: Verizon. One VBO client needed to return a device to Verizon. Verizon made it simple! 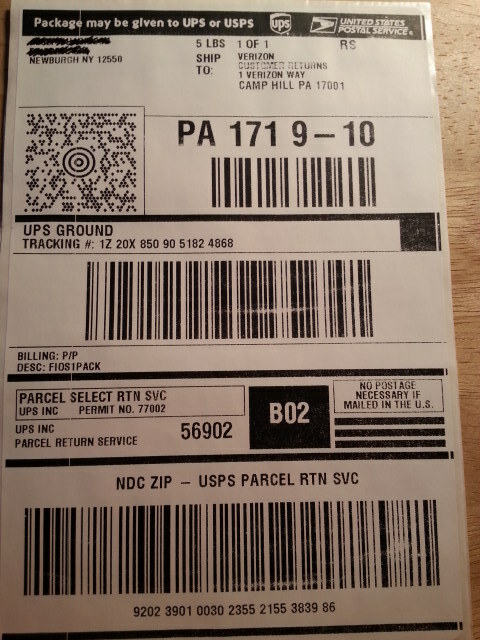 A box was mailed to the office with a return label (sample below). At the top of the label, “Package may be given to UPS or USPS”. Due to the client’s office location and for convenience, the device was taken to the post office. This month the Verizon invoice had a $350 charge for the device. I contacted Verizon who said that the device wasn’t received. “Did you try tracking it with UPS?” I answered, the device was returned USPS. It was the beginning of a half hour argument with Verizon’s Customer Service Representative about how it was my fault for not returning the box via UPS. 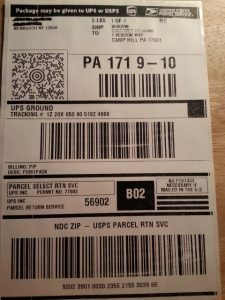 “All returns are sent back via UPS.” When I couldn’t convince Customer Service that they were incorrect, I argued “If that were true, why would the post office accept the box and give me a receipt?” They admitted defeat but advised that there was nothing they could do. It was my problem to locate the box with USPS. USPS needed the address it was mailed to. Unfortunately I did not keep a copy of the label (a lesson for me to learn). Another Customer Service Representative at Verizon was unsure of which address was used so he was nice enough to send me another “return box package” so that I could obtain the address off the label. Here’s how I envision the “miscommunication” happened. Verizon probably had all returns made via UPS. When Verizon made the switch to the option of UPS or USPS, they didn’t communicate the change down the food chain. Or if Verizon did, employees didn’t “read the memo”. Which is a common error in large corporations. In this particular situation, I’m sure any Verizon employee would not be thinking “I am powerful” because they knew the package could indeed have been sent back UPS or USPS. But, I know for a fact our conversations would have went a lot differently. And it would have saved some wasted time.